This article a translated from an original post in French, readable here. 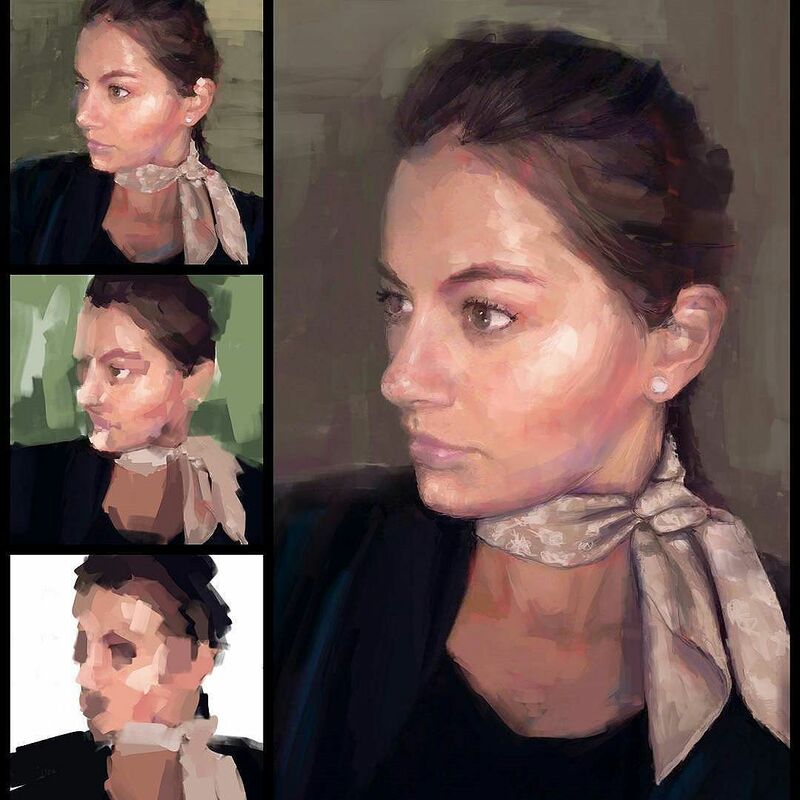 Going from Paris to Belgrade, today’s artist uses films, photographs and musics to create stunning masterpieces. 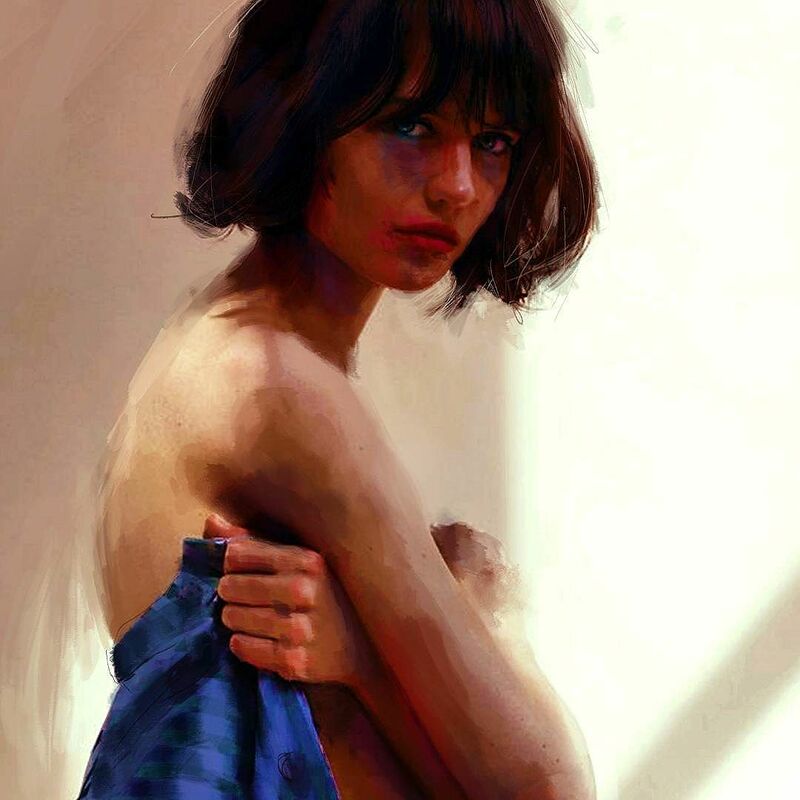 Coming from the High School of Design and the Academy of Applied Arts of Belgrade, Ivana Besevic continued her studies in Paris, still looking for her own artistic path. 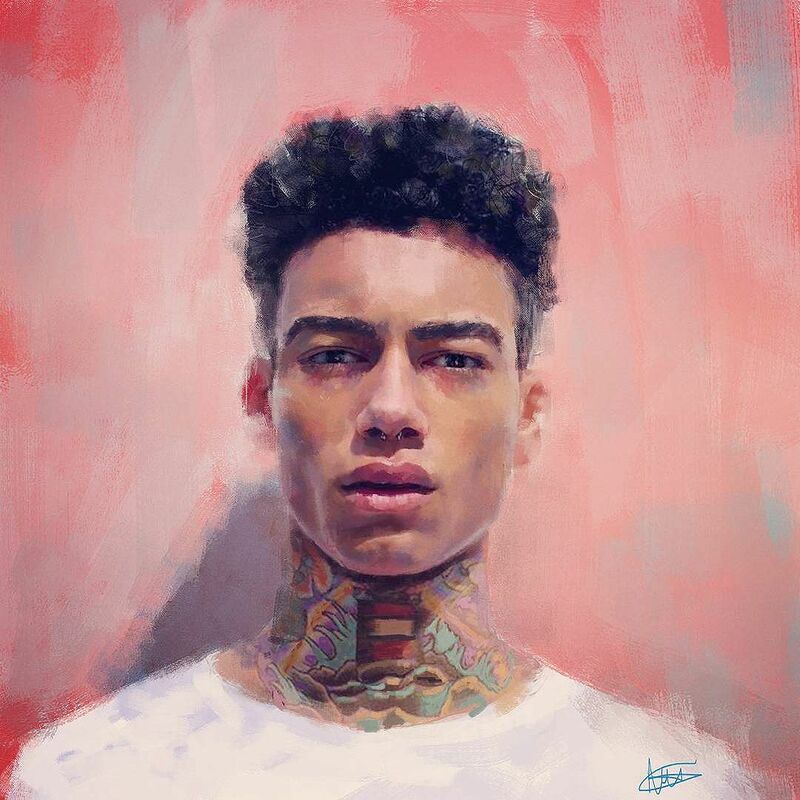 Nowadays, she applies her knowledge of traditionnal arts via Photoshop, creating digital portraits, inspired from film scenes, documentaries, photographs, family and friends. Constantly looking for inspiration, she writes down her ideas in a notebook. On this subject, she confessed to Hautepunch that she stopped painting for a year because she was not able to find the right way to express herself. Then, she worked in film & TV production, developed some interest in video games, character design and concept art. As for now, she goes from stunning realism to a partial will of softening strokes, establishing a state of delicate uncertainty. 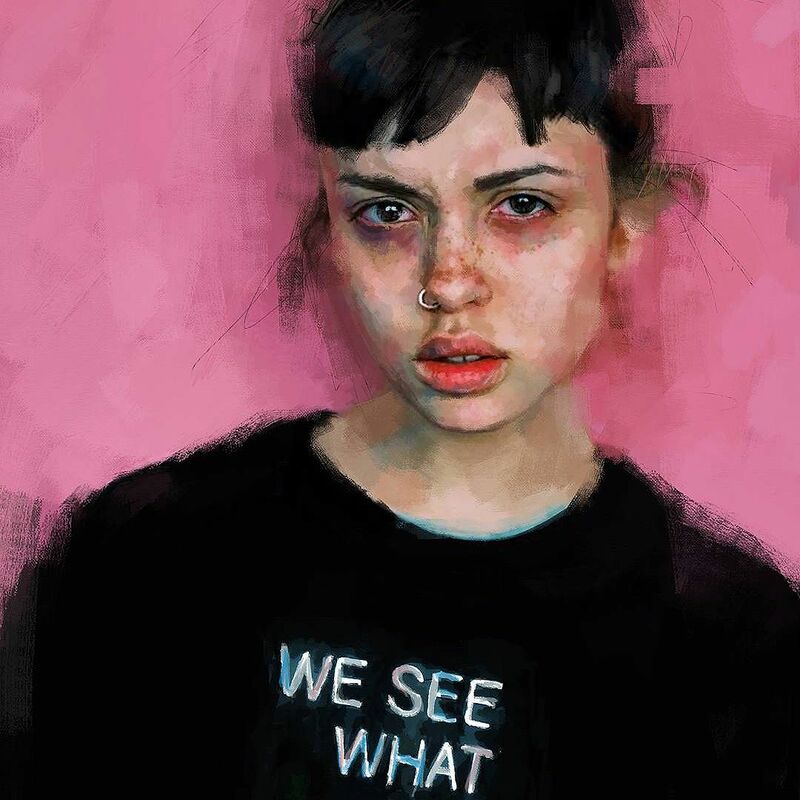 Taking one day in average to produce, her pieces seem to be real paintings. 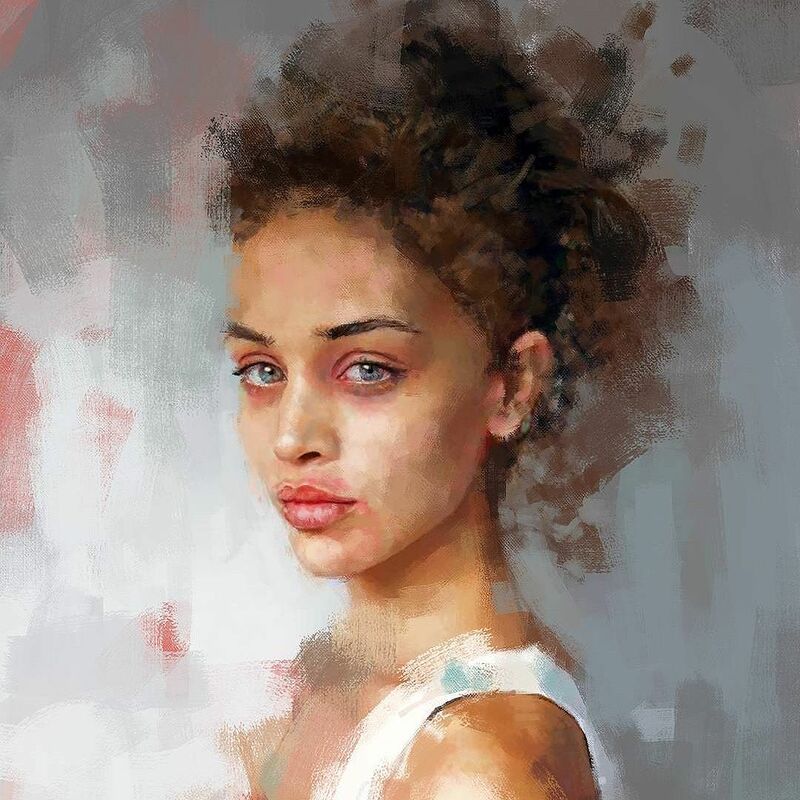 Using more or less customized digital brushes, she starts by painting rather large zones to shape the face and the torso. As you can see, the artist then develops the background and gains progressively in precision. On a side note, light sources are thought at the start : she doesn’t wait the last moment to shade or lighten the face. The most impressive part of her work is that she manages to show the human. Beyond the technical achievement, the realism of her pieces lies in the illustration of the model itself. 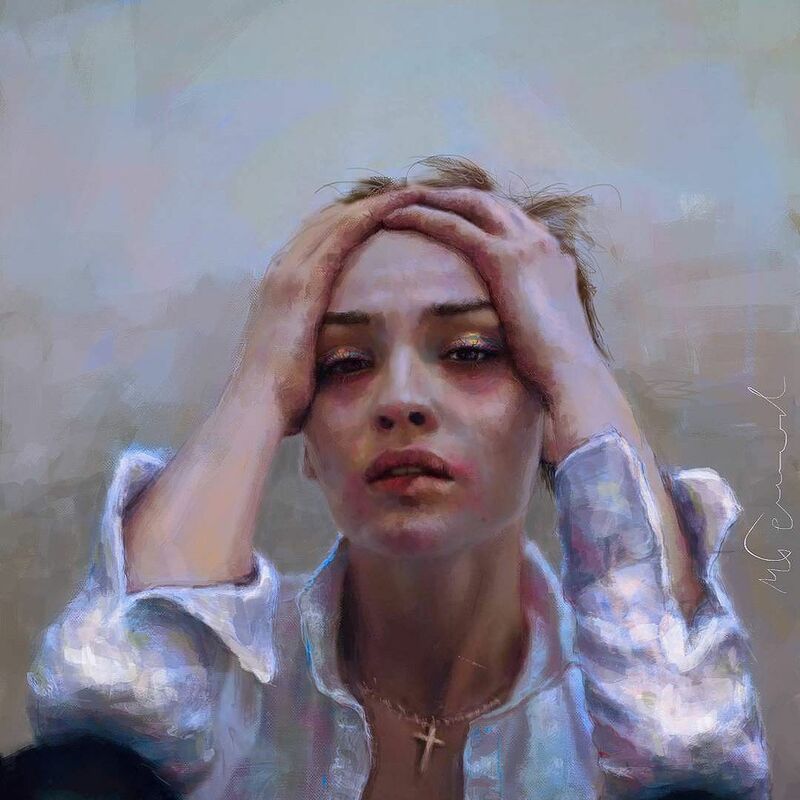 Ivana Besevic is not affraid of painting it staggering between beauty and fragility, with its whole emotional complexity. In a previous post, we talked about delicateness of inked figures over newspaper. 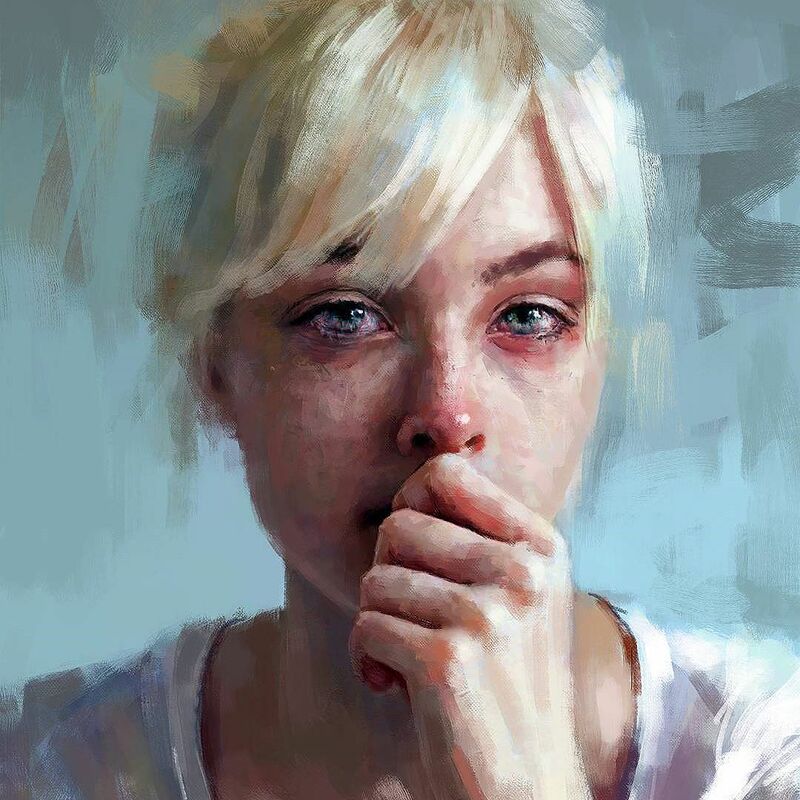 Here, Ivana Besevic portraits’ fragility is shaped by half-open mouths and penetrating gaze. Powerful emotions are visible through the eyes fixed on the viewer; some shows sadness, others are more mysterious, letting the audience member be the judge. Portrait’s essence, putting viewer and model head-to-head, returns here our own doubts, struggles, sorrows and cracked smiles. Eyes full of tears scream silently to remind us that, beyond everything, there’s pure and raw emotion; without word nor movement, with one and only one gaze. 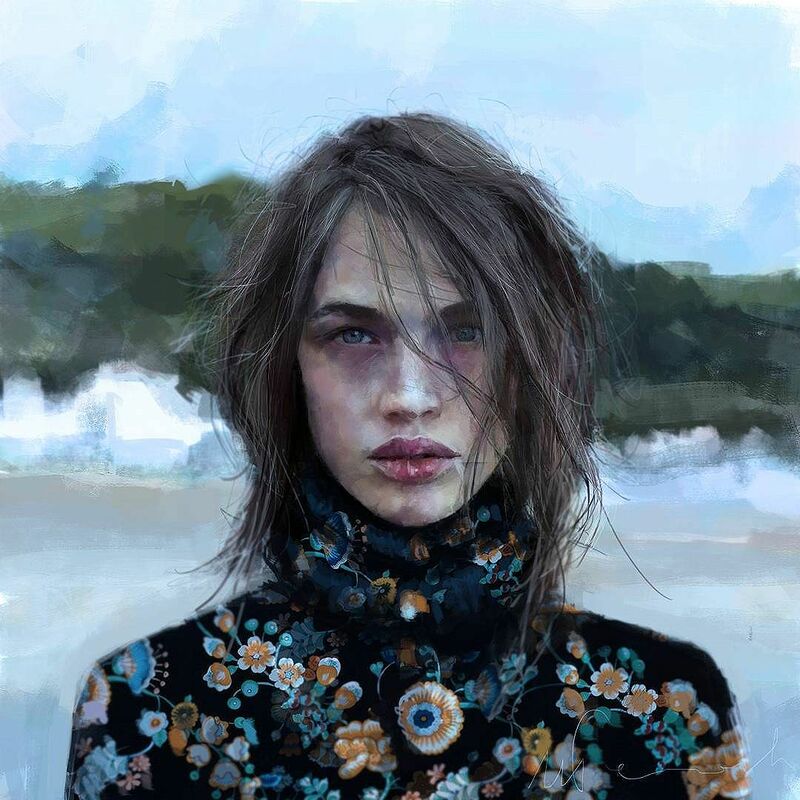 As an ode to the other, to its differences and its complexity, and as the same time, its similarities, Ivana Besevic’s work let us feel simply and personally our humanity. Thanks for reading this article. I tried to convey the same feelings I did in French. I probably did some mistakes; feel free to point them out in the comments or via Facebook / Twitter. As an english reader, you may be interested by the other translated article, about Yana Khachikyan. I advise you to check out our images’ selections, updated every 30 minutes; you do not need to understand French to appreciate them. If you enjoy her paintings, take a look at her shop! Thanks to Oriane Selwyn for her proofreading (two mistakes only, yay).